When you come home from a vacation and find your back door hanging open, the glass broken out of the window and the door unlocked, you know that there was a home invasion before you even get inside. It’s a gut-wrenching feeling, and that first understanding of what has happened is, in many ways, worse than walking through your house to find out what was taken. However, home theft insurance can help you put everything back together again, just add it to your home insurance policy. There are six crucial things that you must know about how this is going to work in the days and weeks to come. First off, be prepared for this to take some time. An adjuster is not going to show up the next day with a check. Sometimes, you can get your money in as little as a week, but it could take a month or more to get everything that you are owed. This is a long process with a lot of paperwork, and you are going to have to live without certain things – or pay for the replacements yourself – while the insurance company sorts things out. 2. You need pictures of the damage. Take pictures right away. You are going to feel very emotional, and you can focus all of that energy into action. Go through your home and take photos of damage that was done. This will help the insurance company to act quickly in approving the money that you need to have those things fixed. Without pictures, they may assume that you are simply making things up, and they will request some sort of proof to prevent insurance fraud. 3. You also need the police report. Of course, the very first thing that you should do is to call the police. You may not even want to go into your home if you think the person may still be inside. An officer will come, along with a forensics team, and secure the area. They will file a police report, and they should give you the number that corresponds with it. Contact the police department and get a copy of the report. The insurance company is going to ask for it, and they will reimburse you for the small fee to get it. Some people assume that the policy will just give them a general lump sum of money that they can use for anything that they need to replace, but that is not actually how it works. Specific items that fall into predetermined categories are going to have limits. For example, you may only get $5,000 for work-related items, or you may only get $3,000 for firearms. Even if your total policy covers more than that, these categories can max out quickly. 5. You will get partial payments. It is also worth noting that the company may not pay you the full amount. They want to see what it really costs you to replace the items. They will pay you a partial amount, and you can then mail in the receipt after you have purchased the item in order to get the rest of the money. For example, if a gaming system was stolen, they could give you $150 up front, even though it will cost you $300 to replace. After you buy it for $300, you can send them the proof, and you will get a second check for $150 more. 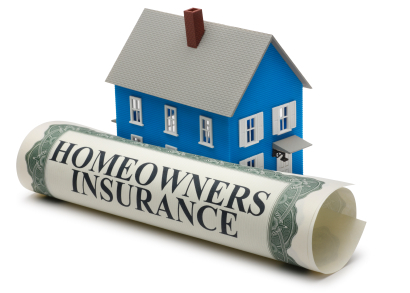 *Talk to one of our agents to learn more about home insurance and how to add a home theft insurance into your policy.